Rakesh Tech Solutions is one of the leading Digital Marketing (SEO, SMO, SEM And SMO) Online Training And Class Room Course Institute which is located in Hyderabad with the objective of providing a Training services for various requirements in IT industry. 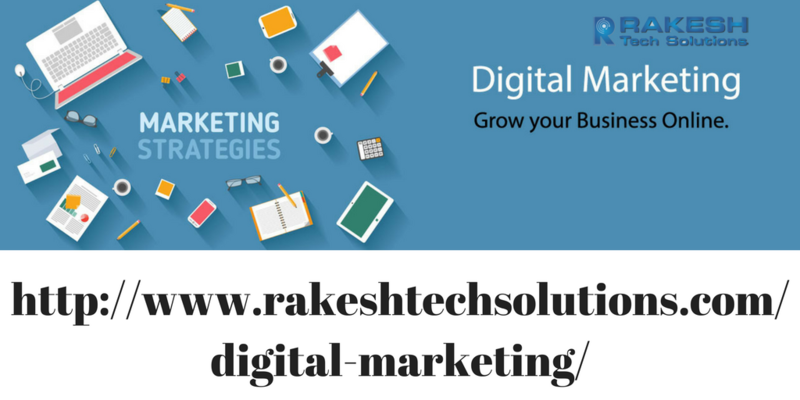 Rakesh Tech Solutions Trainings is started by a group of highly talented faculty in their respective courses with Class room online support for students and Employees in world wide. It is amazing and wonderful to visit your site. Thanks for sharing this information; this is useful to student..
Its good that people are able to find the relevant content for digital marketing training.I got the same experience for the digital marketing training in ameerpet at globaledx, which is training and placement company. Get the best training Digital Marketing training, Android Development, website development, PHP, Linux, CCNA training from Libra Infologics in yamuna nagar.